A sign outside of the American River College Beaver Bookstore advertises National Student Day and the events going on Oct. 9. Students get a chance to have their textbooks for next semester paid for by the bookstore. American River College Beaver Bookstore will be celebrating National Student Day on Oct. 9 by giving students an opportunity to win free textbooks for the spring 2015 term. The bookstore is holding a raffle that students can enter by making item donations which will be going to the charity Children’s Receiving Home of Sacramento. For every approved donation, that student will receive an entry into the drawing and the winner will be getting their textbooks for the following semester for free. Approved donation items include school supplies, packaged writing implements, erasers, sharpeners and various hygiene products. Donation items from last year’s National Student Day were donated to the Sacramento Society for the Prevention of Cruelty to Animals. 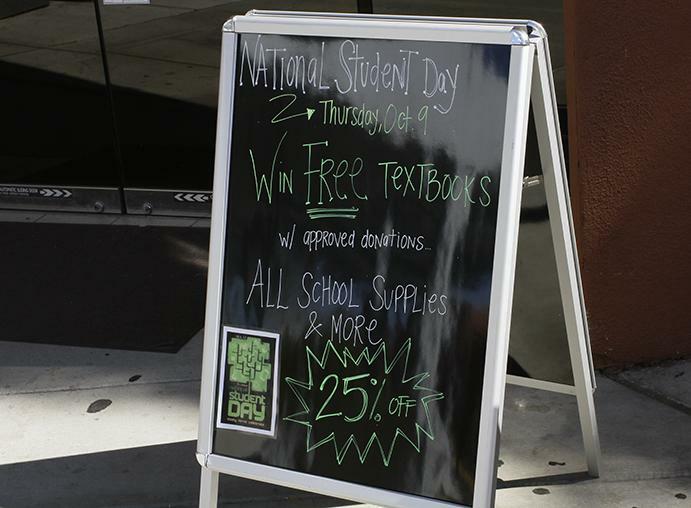 According to its website, National Student Day is held every year and recognized by college book stores across the U.S.
All school supplies and merchandise will be 25 percent off, except on textbooks during the event, according to assistant store manager Lori Shull. The event has been held at the ARC bookstore for each of the last four years. Students received up to $600 worth of textbooks in each of those events. The bookstore will also have a “Wheel of Chance” during the event where students can win an assortment of prizes including a pencil pouch, and a candy bar. A tent will be posted outside of the store where a representative will be answering any questions students may have. The bookstore will announce the winner of the raffle on Dec. 5. The bookstore posted photos of previous National Student Day events on their Pinterest, which can be found at http://www.pinterest.com/beaverbookstore/. 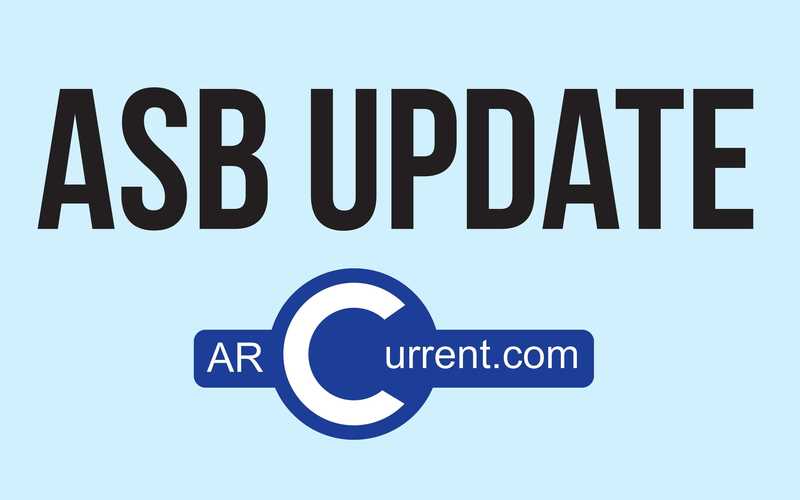 Be the first to comment on "ARC campus bookstore to hold National Student Day event"